Sarasota's Palm Aire Country Villa. This three bedroom turnkey furnished home has all tile floors and a one car garage. Freshly painted and updated. 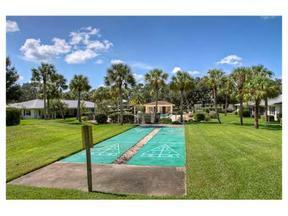 Extra large sunny screened lanai overlooking the common green space and community pool. Great location in Palm Aire Golf Country Club, with many shopping centers and restaurants to choose from on University Parkway. Just minutes from the new UTC Mall, Downtown Sarasota and Lakewood Ranch Town Center.